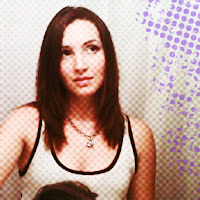 Welcome Rebecca Hamilton to Short and Sweet Reviews! 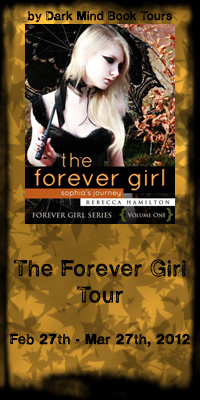 Today Rebecca is going to share with us her picks for a "The Forever Girl" movie! Rebecca Hamilton writes Paranormal Fantasy, Horror, and Literary Fiction. She lives in Florida with her husband and three kids, along with multiple writing personalities that range from morbid to literary. She enjoys dancing with her kids to television show theme songs and would love the beach if it weren’t for the sand. Having a child diagnosed with autism has inspired her to illuminate the world through the eyes of characters who see things differently. To learn more about Autism Spectrum Disorder, please visit the website below. Elizabeth Harnois as Sophia Parsons, and Ben Barnes as Charles Liette! Megan Fox as Ivory – ‘cept she’ll have to ditch her awesome tan. Sorry, Megan! So … who’s lining up for the Premiere? shut up, jason! lol okay you are right. you are. i admit it! Ok, let's write up a script and call these actors!!!! I got stuck on Marcus, but I think Ryan could pull him off. I could see Ryan being a sorta creepy bad guy lol. And you are so bad, Rob, really. Tsk, tsk. LOL Rebecca you stole my leading man! !